1) FRED DAVIS-TE-Redskins- Chris Cooley’s surgically repaired knee has not helped ward off the emergence of Fred Davis so far this year. Cooley missed most of the preseason because of the swelling on his knee and only has 2 catches for 21 yards through the first 2 games. Davis, with 11 catches for 191 yards and a score is clearly the go to end on the ‘Skins. He’s currently owned in just 24% of Yahoo! leagues. 2) ERIC DECKER-W/R-Broncos- With Brandon Lloyd and Eddie Royal both dealing with groin injuries, Decker went off vs the Bengals. He had five receptions good for 113 yards and and 2 TDs. True, his value takes a hit with the return of Lloyd, but he will continue to be part of the Broncos offense going forward and will make for a serviceable WR2 in most leagues. Owned in 22% of Yahoo! leagues, he should be picked up in 10-12 team leagues. 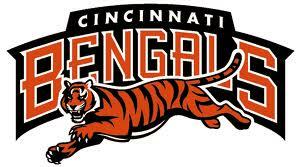 3)BENGALS DEFENSE- We know this selection sounds strange to most, but consider that the Cincinnati ‘Bungles’ are eighth in pass defense and ninth in total defense through the first 2 weeks of the season. Sunday they’ll play the 49ers who are 29th in passing offense and 31st in total offense. Doesn’t sound that far-fetched now does it? 4)DENARIUS MOORE-W/R-Raiders- Moore had five catches for 146 yards and a score vs the Bills last Sunday. With injuries to Louis Murphy (groin) and Jacoby Ford (hamstring), Moore, owned in just 19% of Yahoo! leagues, is a must pickup. 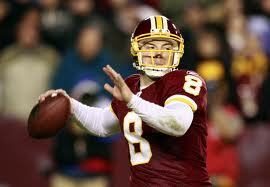 5)REX GROSSMAN-QB-Redskins- Grossman, owned in only 22% of Yahoo! leagues, has put up nearly 600 yards passing and 4 TD’s in the first two weeks, is an excellent pickup this week. He’ll be facing a banged up Cowboy secondary ( their offense is depleted as well). Grossman currently ranks 6th in the NFL in passing and 6th in passing TD’s. Go get him! TOBY GERHART-RB-VIKINGS- Someone to stash in your deeper leagues, Gerhart’s highlights last week included a 42 yard reception and a 31 yard run. 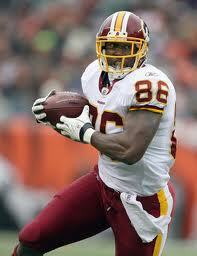 Put him somewhere on your bench should Adrian Peterson go down with an injury. He would make a formidable back up. I like the Moore and Gerhart pickups.